Jimmy Cricket was honoured to be the guest entertainer at a celebratory dinner organised to mark one of his local clergy celebrating 60 years of being a Catholic priest. 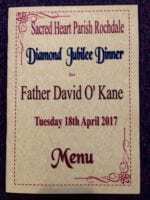 On what was a great evening at the Sacred Heart Parish Hall in Rochdale, Fr David O’Kane hosted a dinner to celebrate his diamond Jubilee milestone. 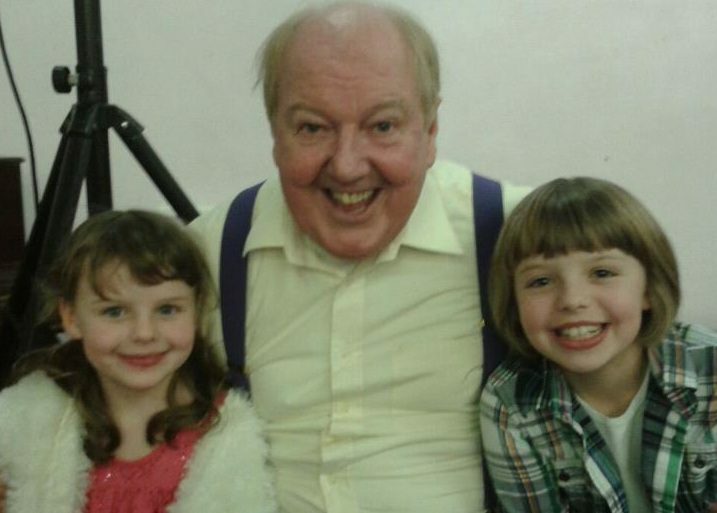 Fr O’Kane has been based at the Sacred Heart Roman Catholic Church for over a couple of decades. 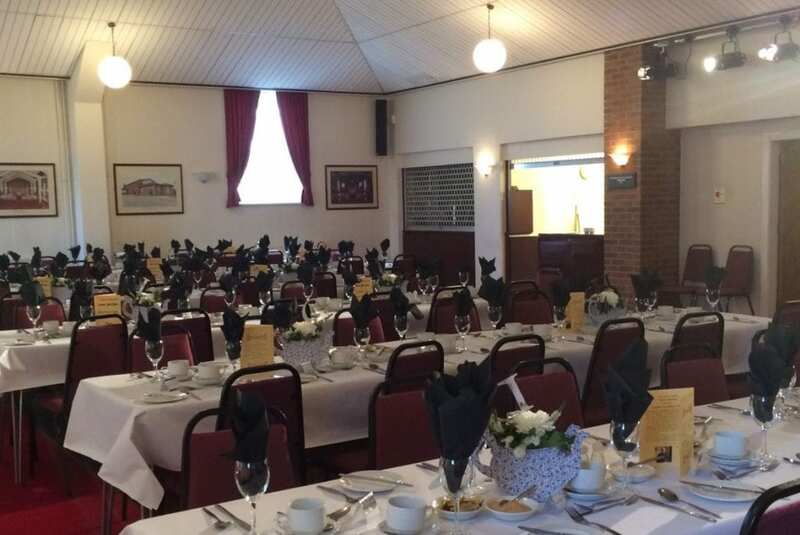 During this time he has hosted some charity dinners and concerts which have featured famous comedian Jimmy. 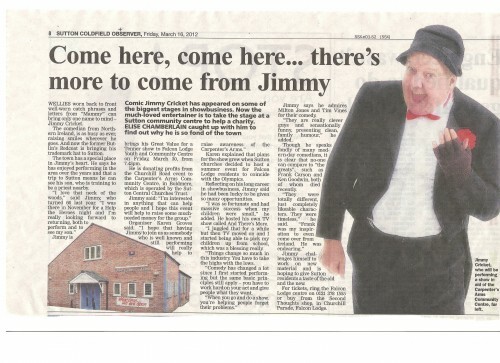 Sacred Heart was in fact one of Jimmy’s former parishes when he first moved into his adopted home town of Rochdale. 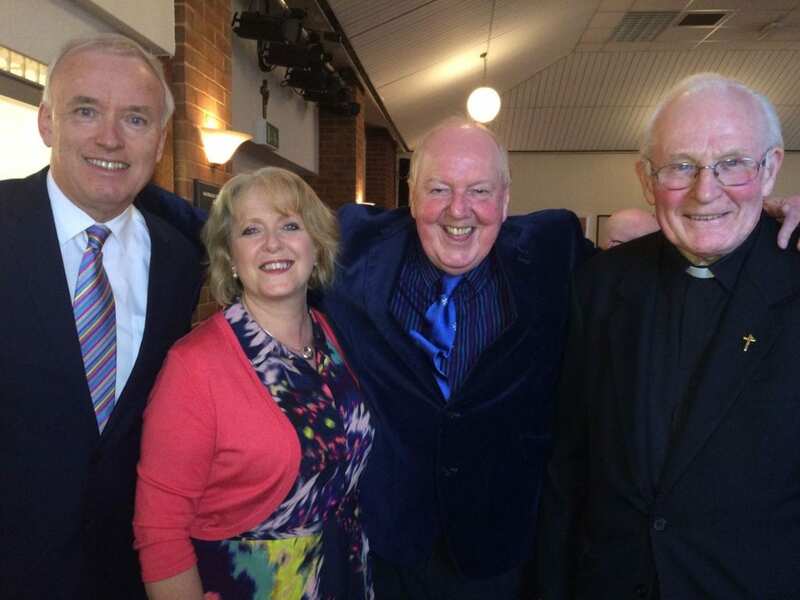 This diamond jubilee event was a wonderful occasion with the hall full of parishioners and friends of Fr O’Kane (pictured above). 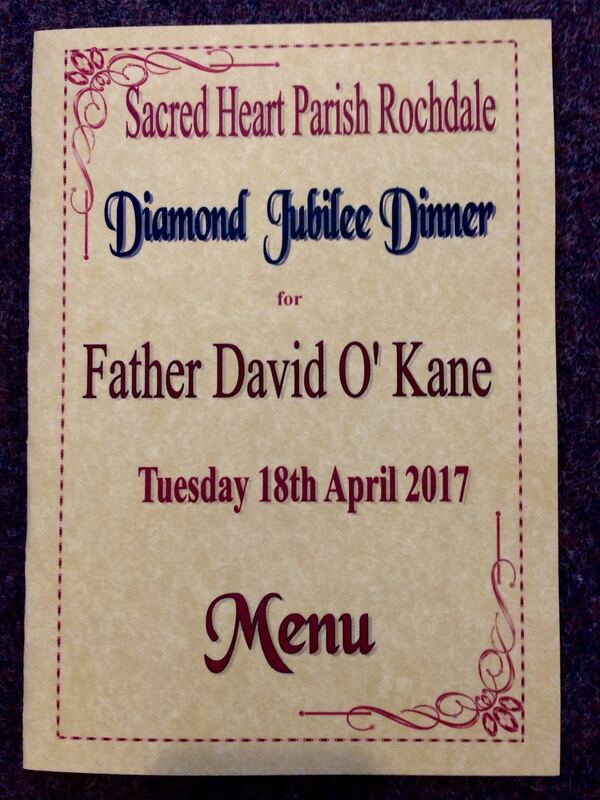 The second part of Fr O’Kane’s celebration will be a special diamond jubilee Mass to be held at Sacred Heart RC Church on Friday 16 June. 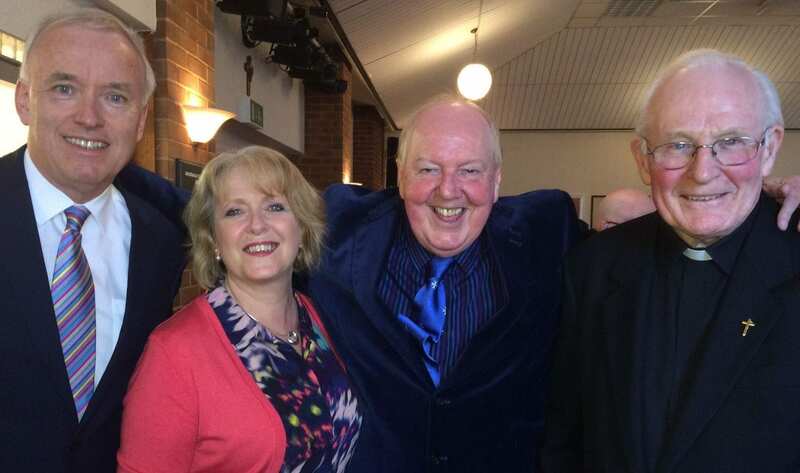 Jimmy and his wife, May, have also been invited to attend this service and, as he has no work commitments on this date, he is delighted he can attend this occasion as well!